Florida- Gainesville isn't just home to the renowned University of Florida, it's a vacation destination for many. Between the charming downtown with Spanish moss-draped trees, sprawling state parks and quaint towns with a small-town feel, the Gainesville region is a great escape all year round. If your family stayed close to home for the holidays, make a beeline for warmer weather after the busy travel season has passed. Read on to see at least three reasons why you should take a detour through Gainesville the next time you're in Florida. 1. Mecca for outdoor enthusiasts. Nature lovers might experience sensory overload. The area is home to the world's largest fresh water natural springs and seven state parks. Hikers can expect waterfalls, rivers, sinkholes and Florida wildlife like bison and alligators. The abundance of rivers makes the region great for boating, fishing and cave diving, especially towns like Melrose and Alachua. Devoted animal fans can visit the Paynes Prairie State Reserve in Micanopy or the Mill Creek Retirement Home for Horses in Alachua. Micanopy also holds the reputation as Florida's best city for antique shopping. 2. Catch a show at The Hipp. 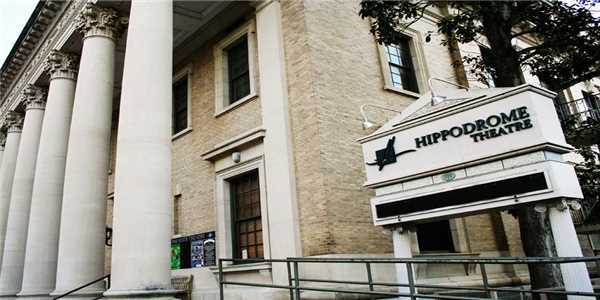 The Hippodrome Theatre is a focal point of Gainesville's cozy downtown, typically presenting some of the best theatre in the country. The Hipp, as it's fondly known, also has an art gallery and a first-rate cinema. Don't miss other classic downtown activities, such as ice skating at the Bo Diddley Community Plaza and dining at locally owned restaurants -- be it fondue, Mediterranean or sushi. 3. The University of Florida.